Calista Hotel features tour/ticket assistance and concierge services. Public areas are equipped with complimentary high-speed wireless Internet access. A total renovation of this property was completed in June 2015. 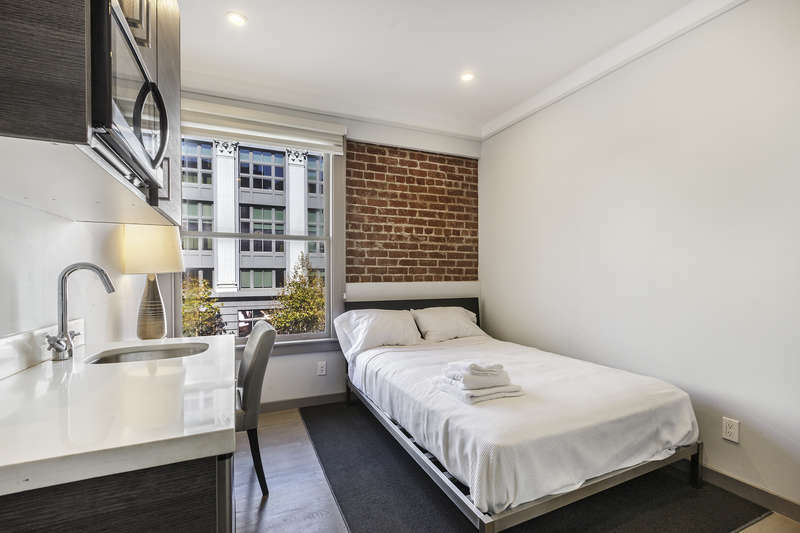 Near San Francisco's quaint Nob Hill neighborhood, the Calista hotel is a few blocks from Union Square with the Golden Gate Bridge a short 20-minute drive away. 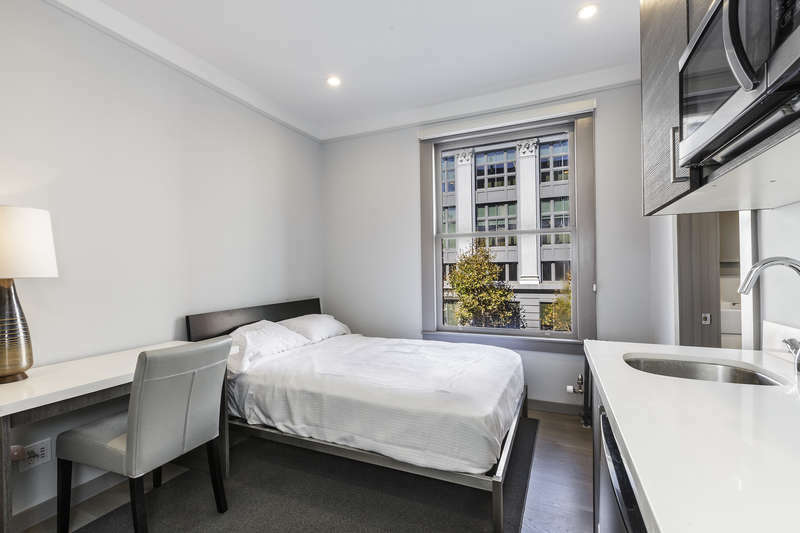 The guest studios feature city views and wi-fi and kitchenette with microwave, compact refrigerator and sink. The Calista San Francisco has spacious accommodations featuring flat-screen Apple TV with rental remote device. San Francisco's famed California Street cable car system is a two block walk from the Calista Hotel and places Fisherman's Wharf, Union Square and Chinatown only minutes away. Van Ness Avenue is a great choice for travelers interested in easy access to seafood, city walks and museums. Make yourself at home in one of the 28 guestrooms, featuring kitchenettes with refrigerators and microwaves. Flat-screen televisions with cable programming provide entertainment, while complimentary wireless Internet access keeps you connected. Conveniences include desks and coffee/tea makers, and housekeeping is provided daily. 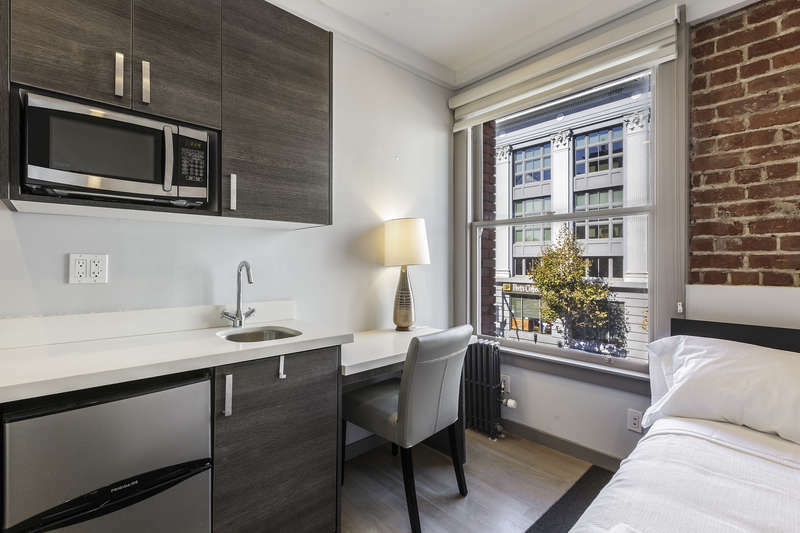 Located in Civic Center, this hotel is within a 15-minute walk of Audium, Asian Art Museum of San Francisco, and Louise Davies Symphony Hall. Union Square and Lombard Street are also within 1 mi (2 km).